We are very pleased to share with you the Spanish Mustang Foundation’s December Newsletter: SMFNews5sm! This newsletter is full of wonderful stories about this great organization and ways how you can help support this endangered breed. It, also, highlights ROTH’s own Adam Edwards, their new Development Director. Go, Adam! Emmi, formaly of Zuma’s, and Adam hosted a summer camp for children, Summer Of Awareness Riding, or SOAR. The camp was a success and they plan on hosting another this year in NM. Both Adam and Emmi have been working hard to help the breed become recognized by training and gentling and even going onto to ride in edurance competitions. But that’s enough spoilers! Check out the link at the top and read all about the work being done to save an American Legend! If you are on FaceBook, go and like their page, and keep up on their work on your Newsfeed. For 15 years Anna Twinney has been developing her Reach Out to Horses methodologies. Now its time for these methods to be spread around the Globe, not just by Anna but by her first trainer graduates of the ROTH program. For the first time Anna entrusts 4 graduates to demonstrate their abilities in public at Zumas Rescue Ranch in Littleton, CO fund-raising for the horses. Witness their abilities in touching the horses & inspiring spectators. 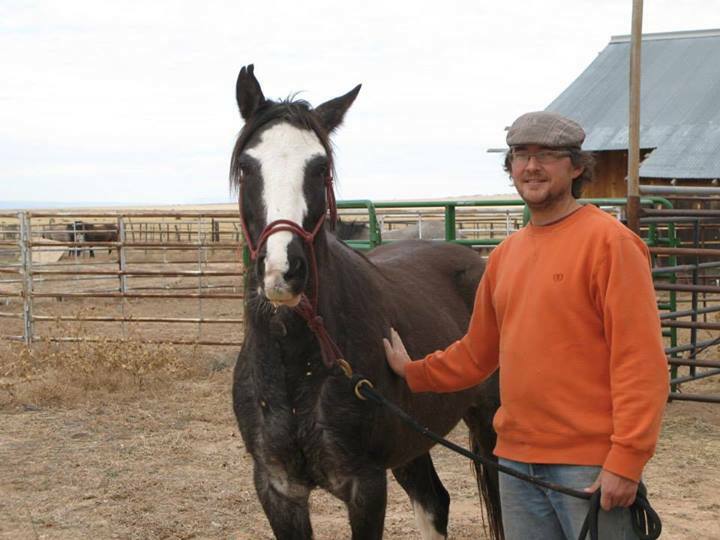 We welcome Adam Edwards, Sonke Dose, Kimberly Stornetta & Elaine Ackerly officially as part of Reach Out To Horses.